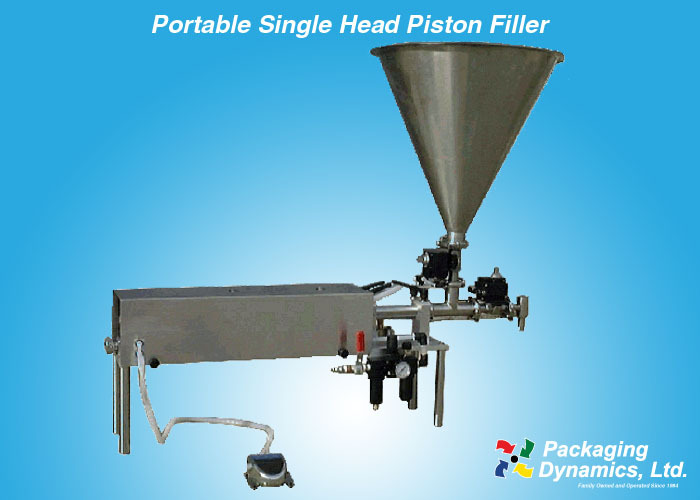 Portable Single Head Piston Filler - Packaging Dynamics, Ltd. Engineered for Accuracy & Portability! 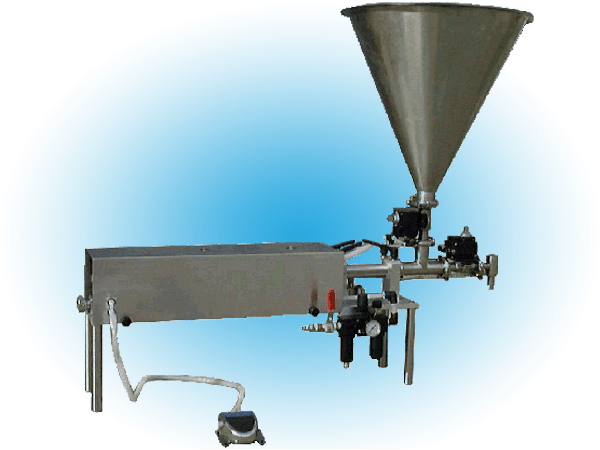 The Packaging Dynamics, Ltd. Portable Single Head Piston Filler model PF-1RV has been engineered to provide an economical and convenient way for filling small production runs of today’s thick or thin liquid products with high accuracy. This machine is a pneumatically controlled volumetric piston filler and only needs compressed air. To adjust the volume being discharged, close the ball valve on the inlet side of the regulator, turn the volume adjustment knob on the rear of the machine and then open the inlet valve. Place a container under the nozzle and depress the foot pedal. At the completion of the filling cycle, the cylinder will retract and recharge the piston. A filled container can then be moved along manually. This filler can also be used in conjunction with a slide plate, a portable cart, a powered conveyor, additional units or fully automatic.